For all of its flaws, Dissidia Final Fantasy NT is an enjoyable team-based fighter. In fact, we’ve had some pretty hype matches on the game, when we have had enough players to play one. So, with the first season of DLC characters finished, we were looking forward to seeing what was next for the game. 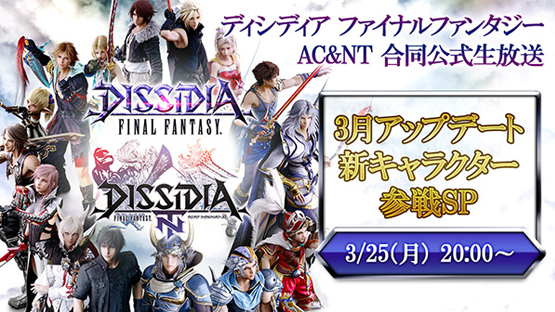 Speaking of which, Square Enix will be hosting a broadcast for Dissidia Final Fantasy NT for PlayStation 4 and PC, and Dissidia Final Fantasy for arcades on March 25 at 20:00 JST (11am GMT/4am PT) where it will reveal a new character that will appear in each game as a playable fighter via downloadable content, the company have announced. You will be able to watch the broadcast live on YouTube and Niconico. It must be pointed out that this new character is not part of the six Season Pass characters out at present. Personally, and this might be a weird suggestion, we would love this new character to be Setzer from Final Fantasy VI, just because he could have an odd, randomised element like in the source material. 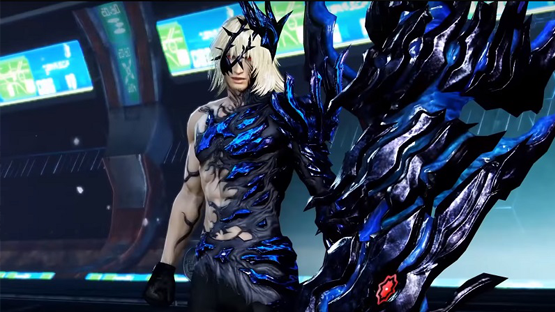 Dissidia Final Fantasy NT is available now worldwide for PlayStation 4 and PC, and Dissidia Final Fantasy is available in Japanese arcades. Why not grab a copy of the console version?